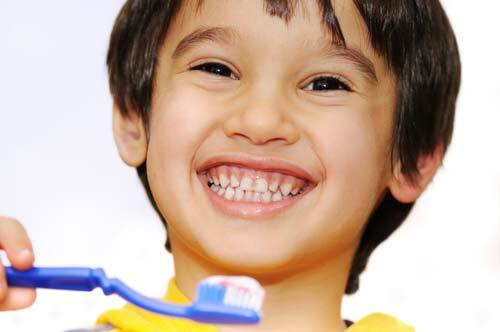 We are honored you have entrusted us with your child’s dental needs. Our primary goal is to help our patients obtain optimal dental health and to not allow the cost of treatment prevent your child from benefiting from quality care they need and desire. ***If you do not see your insurance listed, please call our office to inquire or confirm. We gladly accept patients with insurance plans with which we are not under contract. Please provide your child’s complete insurance information at the scheduled appointment. We are willing to handle the paperwork for you and file your insurance claim. Payment is due at the time services are rendered. We offer a variety of payment options to meet your needs. Our office accepts payments by cash, checks, Visa, MasterCard, Discover, American Express and Care Credit. Care Credit is a patient payment program offering a full range of 0% interest and extended payment plans for treatment fees of $200 and up. If you are interested in Care Credit, please speak to our front office team member to fill out an application. For out-of-network patients or patients without dental insurance, we require PAYMENT IN FULL on the day of service. However, if you have any questions about financing or payment, please ask us! We will explain your options extensively and work with you to accommodate your financial needs. Please note, the person who accompanies the patient for treatment is responsible for all fees incurred at the time services are rendered. We know life with kids is unpredictable! However, we ask for at least 48 hours notice to cancel an appointment. As a courtesy to others, we reserve the right to reschedule your appointment if you are more than 10 minutes late. We will gladly submit claims to your insurance company. In order for us to handle your claims in a timely manner, you must provide the proper identification cards/information at each visit. We will accept assignment of benefits for all the insurance companies with which we participate, if allowed by your insurance company. However, any co-payments, deductibles and other non-covered charges will be due at time of service. We will estimate your portion to the best of our abilities based on the information obtained by your insurance carrier. However, we strongly recommend you become familiar with your insurance benefits as well. Your dental insurance is a contract between you or your employer and the insurance company. Your insurance provider determines the percentage covered for each procedure. Please keep in mind that you are ultimately responsible for payment on your account if your insurance does not pay a claim. Upon receipt of insurance payment, any unpaid portion will be billed to you or a refund will be issued for any overpayment. We are always available to discuss any concerns you have with your insurance and treatment as they relate to your particular situation. Treatment will never be dictated by your child’s insurance benefits. Instead, Dr. Nick will make recommendations carefully based solely upon your child’s dental needs. Thank your for understanding our financial and insurance policy. We look forward to seeing you at our office!